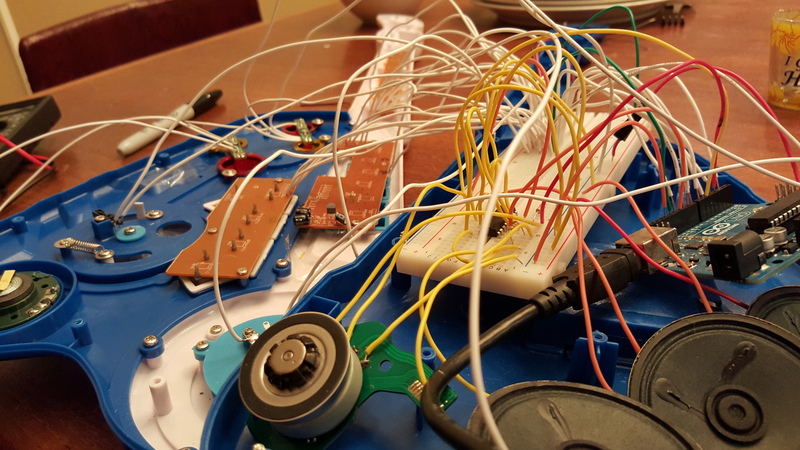 Nielsen Speaker is a Toy Guitar Motor Controller Spinning Speakers Synthesizer #circuitbending « Adafruit Industries – Makers, hackers, artists, designers and engineers! Motor controllers and their matching motors make neat (often octave-ish) noises. In essence, a motor driver is a synthesizer of sorts. Motor drivers are basically the same as amplifiers. Plastic toy guitars are often horrible anti-instruments and need rehabilitation. I’ve always had a soft spot for the Leslie speaker. Awesome. Simply awesome. BoM and build notes here at cassettepunk. Great! I didn’t tease the part where you say ‘full-size version’ exactly because I didn’t want to play it up – but glad to hear you’re working on it, as that sounds (pun intended) amazing!